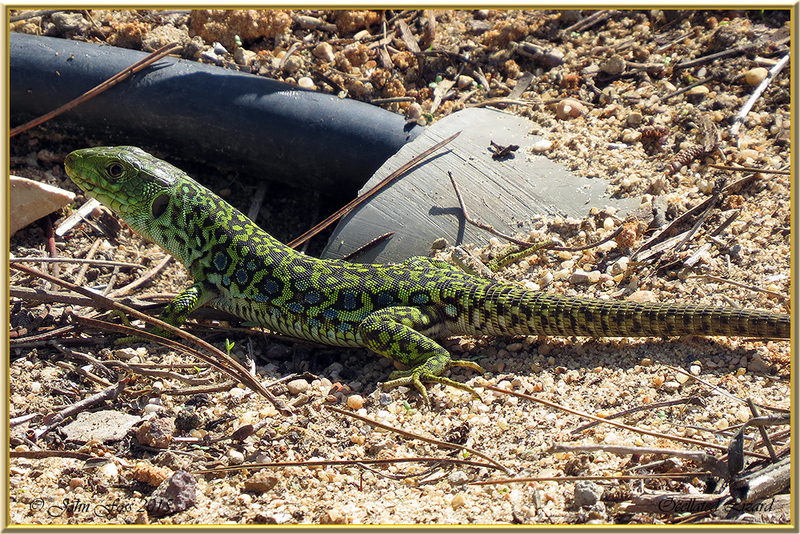 Ocellated Lizard - This beautiful lizard prefers dry areas such as scrub areas and olive groves. They feed mainly on insects,fruit and sometimes eggs. The one in these images is a male which is identified by the blue patches down its flanks. The female is a duller colour with less if any blue markings. It can grow up to three feet in length but most of this is the tail. 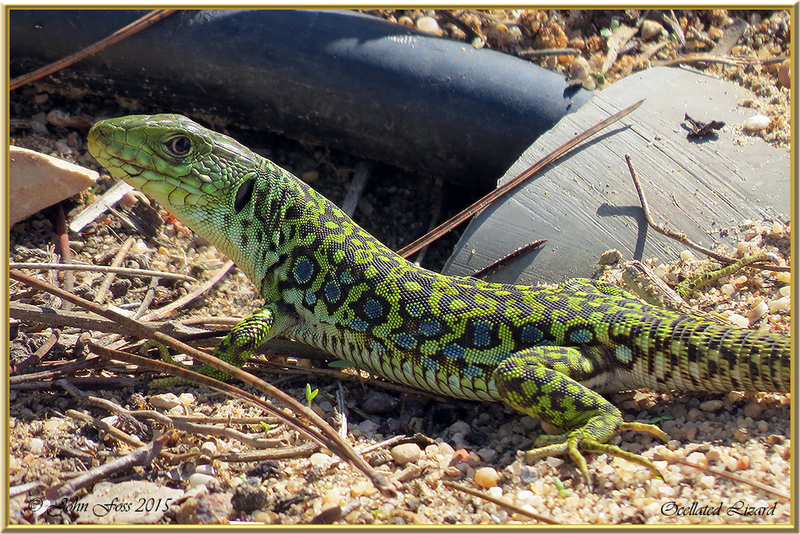 They are sadly in decline in Europe and are now on the protection lists. 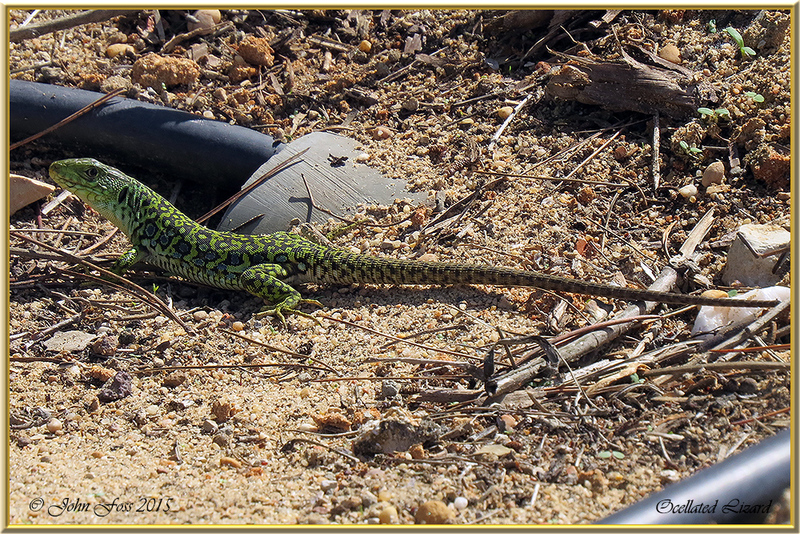 I came across this lizard at Quinta Do Lago in the Algarve Portugal. I didn't observe it for very long before it scurried off down that pipe!